When Should I Book My Award Ticket to Europe? My wife and I are frequent flyer members of US Airways. 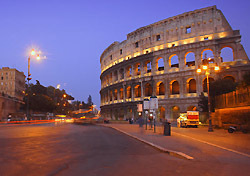 In March 2008 we plan to use our miles to fly to Tuscany. I would appreciate some guidance as to when to submit the request to insure securing the ticket. Most airlines first make award seats (as well as paid seats) available in their reservations systems 330 days prior to the flight’s departure date. The first time you’d be able to book seats for a flight departing on March 1, 2008, would be April 6, 2007. If you’re first in the queue when the seats come online, and the airline does in fact make award seats available for the flight in question, then you’re good to go. The “book early” strategy is hardly foolproof, however. First, other flyers may be vying for that first-in-line spot. Second, if it’s a flight that has proved popular in the past, the airline may choose not to make any seats available at the lower-priced restricted levels. There’s also the “book late” approach. Within two weeks or so of a flight’s departure the airlines may make awards available if seats remain unsold and it looks as though the flight will still have empty seats on take-off. Regardless of whether you book early or late, you may have trouble finding the perfect award itinerary online. In this case, you may want to contact US Airways’ call center and speak to a reservations agent. It will cost you $15, but an agent, whose business it is to make bookings, may be able to bypass restricted-supply bottlenecks and develop a viable itinerary using creative routings. If he or she is unsuccessful, you won’t be charged the $15 fee. If no seats are available on US Airways flights, the next step would be to check award availability on flights operated by US Airways’ airline partners, including a number of European carriers such as Austrian, LOT Polish, Lufthansa, and Scandinavian. You might be able to get to Italy via the home-country hubs of one of those carriers, or by using a combination of airlines. Another option, albeit one that many find repugnant, is to redeem twice as many miles for an award that is not subject to capacity controls. Before looking into a Premium (unrestricted) award at 100,000 miles—twice the cost of the capacity-controlled Mileage Saver award ticket to Europe—check the availability of a first-class Mileage Saver award. They’re priced at 80,000 miles—more than the restricted coach award but less than the Premium award—and if they’re available, you’ll be flying first class.